On October 25 last year, I met Matt Lobdell, curator at the Morton Arboretum, in Orange Beach, Alabama, to begin a ten-day plant expedition trip to Alabama, Georgia, and South Carolina. Matt Lobdell had received a grant from the American Public Gardens Association and the U.S. Forest Service in the spring to collect seed of Quercus oglethorpensis from as many genetic populations as possible, so that the breadth of this species could be preserved in ex-situ collections in botanic gardens and arboreta. This expedition was an opportunity to collect this species and other important oak species, as well as other species of trees, shrubs, and perennials that could be added to our collections. Matt Lobdell at the Morton Arboretum and Greg Paige at Bartlett Tree Research Laboratory and Arboretum make an herbarium voucher of Quercus boyntonii. 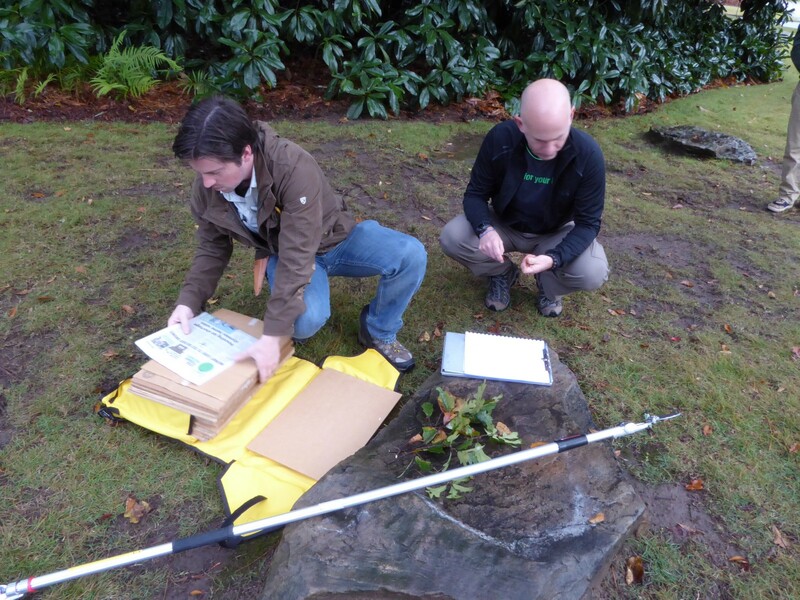 Any successful plant expedition is the result of a very collaborative effort. Because we are often looking for hard-to-find species, we rely on local experts. For different parts of the trip we had guidance from Mike Gibson of Huntsville Botanical Garden; John Jensen and Tom Patrick at the Georgia Department of Natural Resources; Brian Keener at the University of Western Alabama, assisted by Wayne K. Webb at Superior Trees; Fred Spicer, CEO of Birmingham Botanical Gardens; and Patrick Thompson of Davis Arboretum at Auburn University. We were also joined by other institutions that helped with both the collection of seed and the associated data, but also helped with the collecting of two herbarium vouchers for each collection (pressed specimens), which are now housed in the herbaria at the Morton Arboretum and Chicago Botanic Garden respectively. Assistance was provided by Tim Boland of Polly Hill Arboretum; Amy Highland and Cat Meholic of Mt. Cuba Center; Ethan Kauffman of Moore Farms Botanical Garden; and Greg Paige from Bartlett Tree Research Laboratory and Arboretum. On October 26, we collected at Gulf State Park in pelting rain and very high winds that resulted from the remnants of Hurricane Patricia, which had made landfall near Puerto Vallarta days earlier. Nevertheless, we found several small, windswept oaks in this sandy habitat, including Q. myrtifolia, Q. minima, Q. geminata, and Q. chapmanii. The next day, we moved north to the Talladega National Forest in central Alabama. In addition to collecting more oaks, we made collections of the beautyberry (Callicarpa americana), Euonymus americanus, and the buttonbush (Cephalanthus occidentalis). We also saw fantastic specimens of the big-leaf magnolia (Magnolia macrophylla), but we were too late to find any viable seed. Fred Spicer, CEO of the Birmingham Botanical Gardens, joined us the next day, October 28, to take us to several populations of Q. boyntonii, where we were able to make collections for six different populations. He also took us to Moss Rock Preserve in Jefferson County, where we made collections of the Georgia oak (Quercus georgiana). We also made a collection of the Carolina silverbell (Halesia tetraptera). 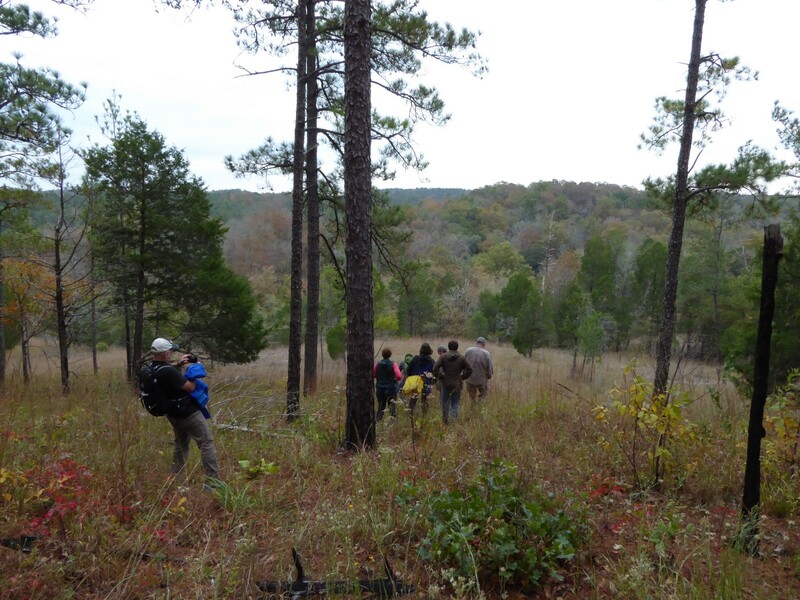 On October 30, we spent the day in Sumter County, Alabama, with Brian Keener, where we encountered Quercus arkansana, Dalea purpurea, Viburnum rufidulum, and Liatris aspera. 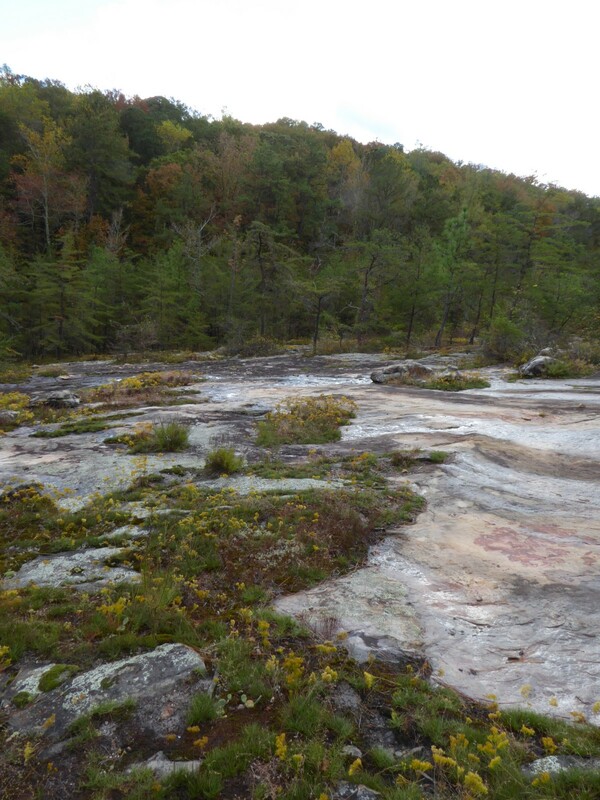 On October 31, we botanized in Blount County, Alabama, at Swann Bridge. Below the bridge was a small river, where we saw an array of interesting plants including the yellowroot (Xanthorhiza simplicissima); hornbeam (Carpinus caroliniana); a small St. Johnswort (Hypericum prolificum); and a native stewartia (Stewartia malacodendron), in which we were able to find a few seeds. 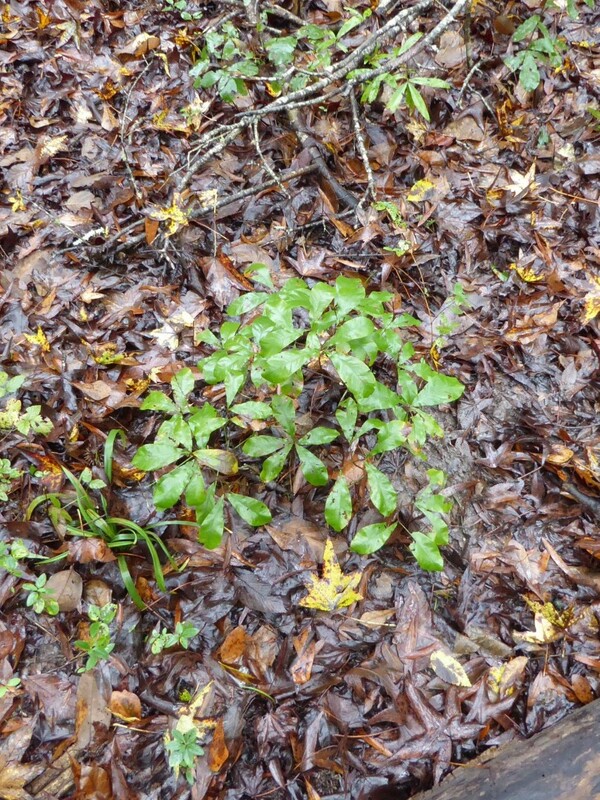 From there we continued on to the Bibb County Glades and collected Silphium glutinosum and Hypericum densiflorum. 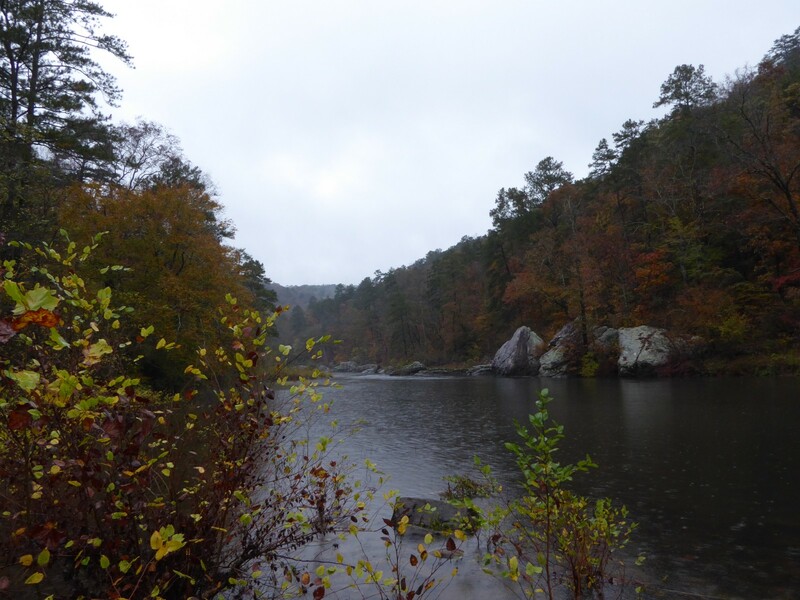 On the following day, we made another collection of Quercus boyntonii in St. Clair Country and then headed to the Little River Canyon in Cherokee County. This was a rich area filled with native vegetation of many popular plants including the maple leaf viburnum (Viburnum acerifolium), with its wine-red fall color; both the smooth hydrangea (Hydrangea arborescens), and the oakleaf hydrangea (Hydrangea quercifolia); the winterberry holly (Ilex verticillata), and the Carolina allspice (Calycanthus floridus). Interestingly, many of these Alabama natives are perfectly hardy in the Chicago area. Toward the end of the trip, we headed into Jasper County, Georgia, and met up with John Jensen and Tom Patrick of the Georgia Department of Natural Resources, who helped us find populations of Quercus oglethorpensis. 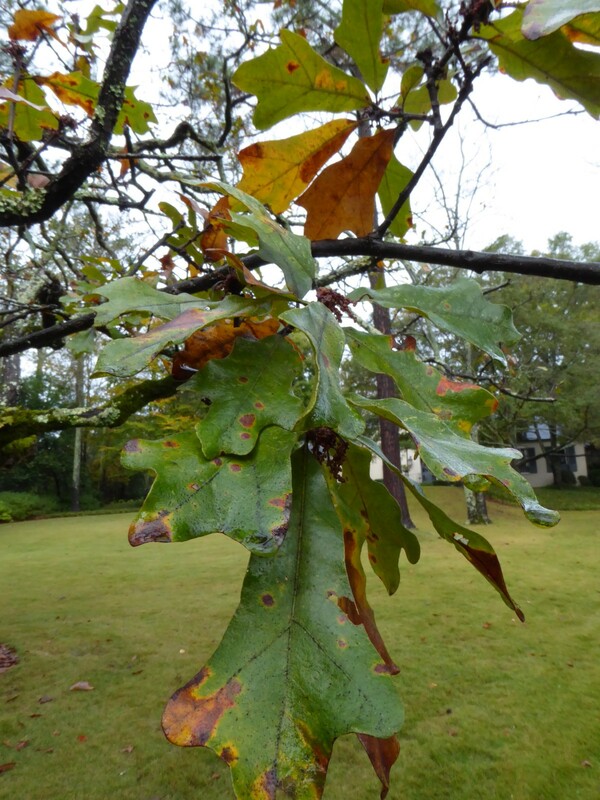 In Taylor County, we collected several oaks, including Q. margarettae, Q. incana, and Q. laevis. 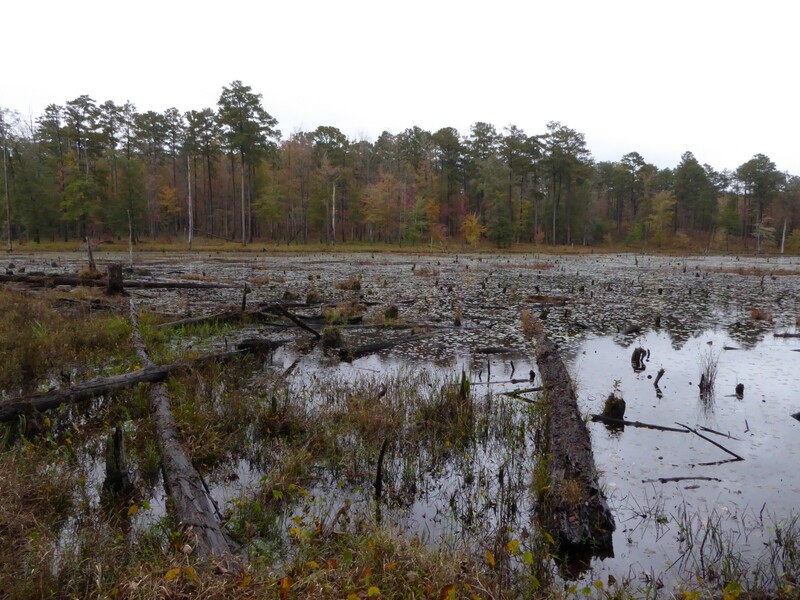 We finished the expedition in Sumter National Forest in McCormick County, South Carolina. This was the final collecting site for Q. oglethorpensis, which was cohabiting with Baptisia bracteata and Q. durandii. In total, we made 92 collections of seed and herbarium vouchers. The seed is being grown at both the Chicago Botanic Garden and the Morton Arboretum. Most likely, plants will not be ready for distribution until 2017 and most likely would not be planted into the Garden’s collections until 2018 at the earliest. In spring 2016, Northwestern University graduate student Jordan Wood will retrace some of our steps in search of leaf samples of Q. oglethorpensis so he can study the DNA and fully understand the genetic breadth of this species throughout its native range from Louisiana to South Carolina.